Europe Beckons for Saturday’s Turf Moor Victors. Sean Dyche’s in-form Burnley are chasing down a European spot and entertain a Leicester City side fuelled with Europa League ambitions of their own at Turf Moor on Saturday 14th April, 15.00 GMT. Burnley are the Premier League’s in form team at present with four successive wins on the bounce to their credit. The Clarets are currently six points in front of Claude Puel’s Foxes with just six games remaining. A win for the hosts will almost certainly end any ambitions the team from the Midlands entertain for participation in the Europa League next season. This game already has the feeling of a proper old-fashioned cup tie about it and will be witnessed by another sold out, packed house in East Lancashire. The Clarets will be looking to avenge a narrow 1-0 defeat to Leicester in early December, a game which also brought Burnley’s talismanic Robbie Brady’s season to a close, following an innocuous clash with the Foxes rugged centre back Harry Maguire. Burnley will certainly be without the impressive Ben Mee, who may be ruled out until next season, after succumbing to a troubling long-term shin problem. Johann Berg Gudmundsson is off the Claret’s treatment table and may be fit to return in the place of Tottenham loanee GK Nkoudou. Burnley will need to pay special attention to the Foxes’ pacey centre forward Jamie Vardy, a player who has captured the full attention of England supremo Gareth Southgate, as Vardy looks to ensure a seat on the ‘plane with the England World Cup team heading to Moscow. 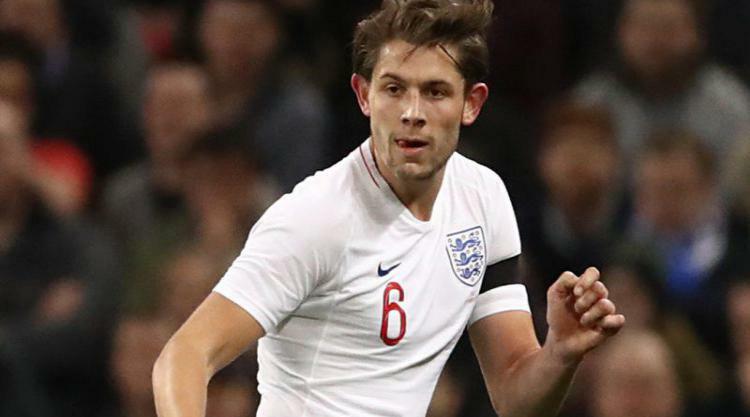 Facing him will be England new boy James Tarkowski and the very impressive Burnley goalkeeper Nick Pope. The Burnley duo will also be looking to impress Southgate in last gasp efforts to be joining Vardy on his ‘plane ride to Russia. Eire’s Kevin Long will continue to deputise for the injured Mee in the heart of the Clarets defence. The game has all the ingredients to be a real test of both teams’ aspirations to play in Europe next season. Realistically, it will be either one of these two teams, but no doubt Bournemouth, Everton and Watford will retain slim hopes of pipping Saturday’s Turf Moor combatants at the post. I expect Sean Dyche to go on the offensive from the start and the likely 4-4-2 line-up will be: Pope, Lowton, Long, Tarkowski, Ward, Gudmundsson, Westwood, Cork, Lennon, Barnes and Wood. Chris Wood will be lining up against another one of his old teams and his current form playing in tandem with the hugely impressive Ashley Barnes, suggests there may well be a nine points gap between the Clarets and Foxes come five to five on Saturday afternoon (TEC).